Imex in Frankfurt 2012 saw individual buyer appointments with exhibitors rise by 21% compared to last year's show. The annual show, which celebrates its tenth anniversary this year, hosted around 64,000 appointments in total across three days, with 40,000 being made by individual buyers. It was attended by almost 4,000 hosted buyers, up around 2% on last year, and featured nearly 140 seminars, workshops and sessions. Imex Group chairman Ray Bloom said around 25% of its hosted buyers now come from outside Europe, adding that the show had seen a 10% increase in the number of hosted buyers coming from the US and Canada . A dedicated education programme for corporate buyers is among the new developments planned for the 2013 show. 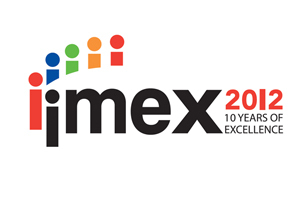 New developments are also being planned for Imex America, set to take place in Las Vegas in October. C&IT Big debate: can trade shows provide ROI? Which cities will be most popular for meetings and events in 2019?